This is one of the classic W7 class trams which are free to get on anywhere on the city circle route. 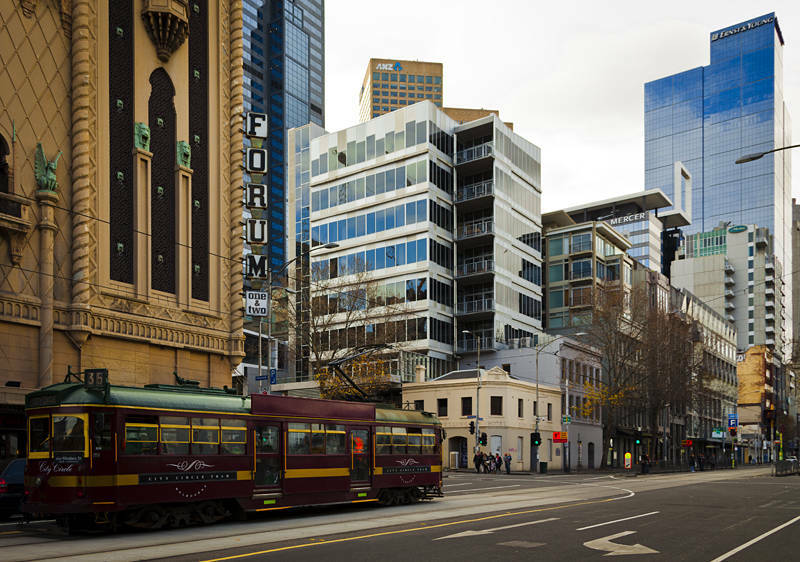 Melbourne has the largest urban tramway network in the world with 487 trams on 250km of track. I took this last weekend when we walked into the city. It is the middle of winter here now with less than 10hrs of daylight and Day/Night temperatures averaging 13C/8C. So still almost t-shirt weather then? Maybe if your jogging. There is enough wind and rain to keep us rugged up.